You are a star, a big name on everyone's lips. People all over the country love you and now it's time to take the next step in stardom. To become an international superstar you have to travel to Rockopolis, the world capital of Rock'n'Roll and win the hearts of the fans across the city. 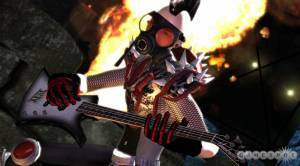 Ultimate Band is a game somewhat similar to music games like Guitar Hero and Rock Band. 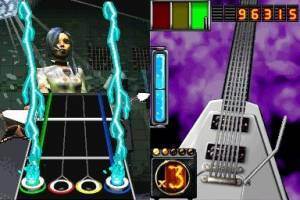 To win over the fans the player has to travel to several venues across Rockopolis and play gigs. At each venue the player can talk to the fans to see what their preference is, and then play songs accordingly. 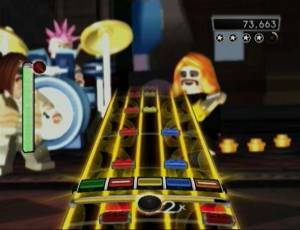 The main game mechanic is divided into four different instruments, all with their own style of play; Lead Guitar, Rhythm Guitar, Bass and Drums. 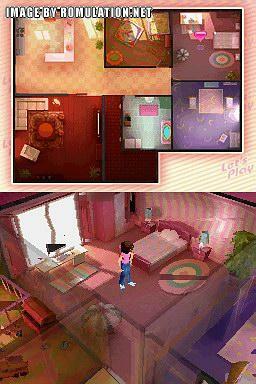 Notes fall down from the top screen towards the bottom screen, much like in any other music game. If the instrument is a guitar or bass, the player has to pick the right chords with either the D-pad or the face buttons (depending on lefty/righty settings) and then strum with the stylus when the notes hit the strum bar. 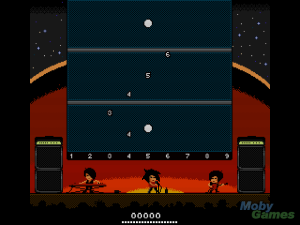 If the instrument picked is the drum set, the player has to tap the right drum as the notes fall down the screen. The more "buzz" the player earns with the fans, the more venues, songs, instruments and samples are unlocked. There is also a recording studio where the player can record a song free-hand, and another recording studio for up to four players to simultaneously record a song together via Wi-Fi. 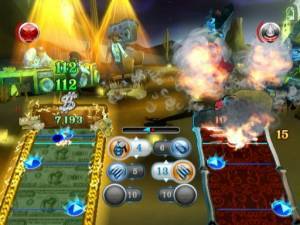 The game can hold up to 12 saved custom songs and 12 jam sessions.